1. Turnover Upto One Crore Fifty lacs - HSN Code not required to be mention on invoice. 3. Turnover more than five Crore rupees - 4 digits of HSN code to be mentioned on invoice. This notification come into force from 28th June, 2017 and you can download the notification from above link. To print the HSN code in the invoice you ensure that the tax rate and HSN Code are defined at the same level. 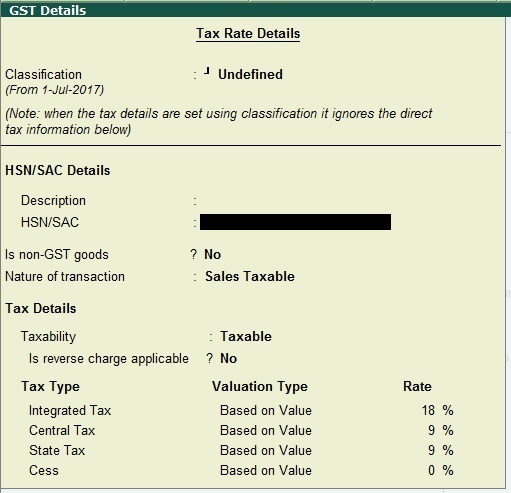 Read this: How to Create Sales/ Purchase Ledger in Tally for GST? Look at above image, In this image HSN Code is not showing because we are not mention HSN Code in sales ledger. 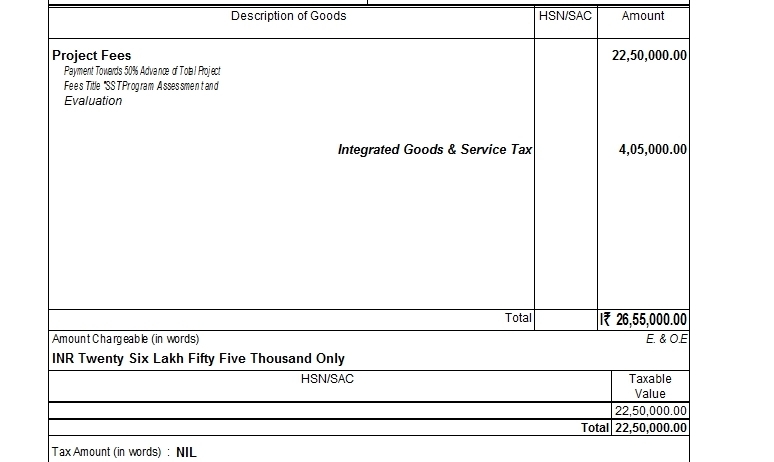 See above image (alteration in Sales Ledger), there is no HSN Code provide in HSN/SAC section. If we mention HSN Code here then it will print automatically in Invoice. But this method only used for only one type of stock item or Services which have same HSN Code as mention in Sales Ledger. If you have multiple stock item or services then this method not working.